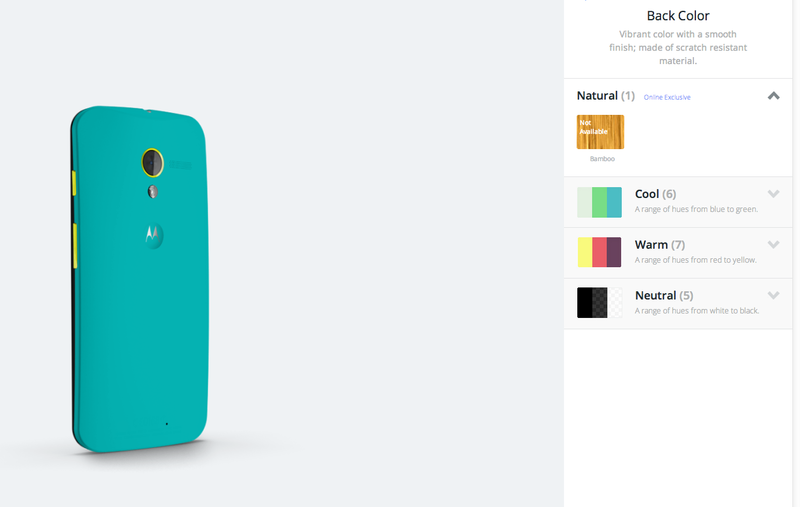 And wood (“Natural”) is live as an option for the Moto X! Well, sort of. Bamboo just showed up on MotoMaker, however, it is listed as an “online exclusive” and “not available.” I’d imagine that Motorola is about the flip the switch though. We are a little disappointed to only see Bamboo at this time, as we were told during launch to expect other options like Rosewood, Ebony, and Teak. Stick with us, we’ll be updating this post! Update 1: We received a tip last night from a reader who spoke with a customer service rep about the launch of wood backs. The rep claimed that we would only see Bamboo to start with, and that it would cost an extra $100. So far, half of that appears to be true. Once it goes fully live, we’ll know if the $100 premium piece to the story was on point as well. Update 2: The option for Bamboo is now live. $100 premium. “Delayed shipping” which looks like 14 days. But boy does it look pretty. Update 3 (12:07PM): MotoMaker is now crashed. Great. Update 4 (12:12PM): It’s back up! Update 5 (12:13PM): We ordered a 32GB version with white front and metallic grey accents for Verizon; it ran $649 off-contract. Our estimated arrival date at this time is showing as January 6 (when we’re at CES of course). If you order bamboo, you will not see it in time for X-mas. 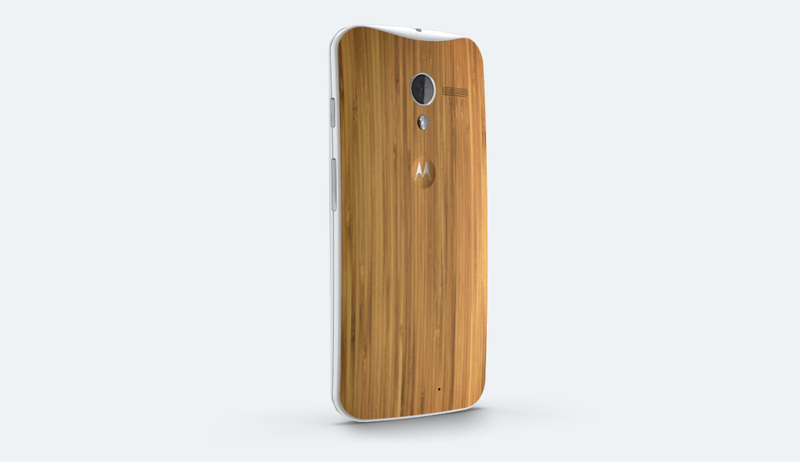 Update 6 (12:22PM): Motorola has now made it official via Twitter, confirming only Bamboo. Update 7 (12:25PM): And here is the official announcement, along with a real picture of the bamboo phone. 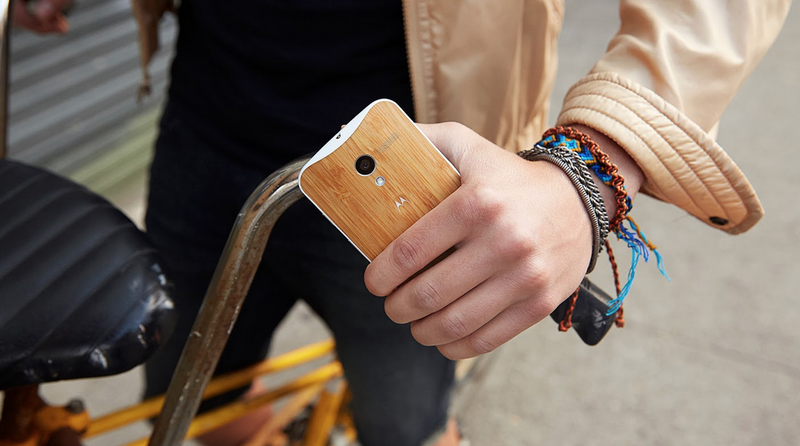 Update 8 (12:40PM): You can find an official FAQ for the Bamboo Moto X here. To build your wood Moto X, head over to MotoMaker!